Lindsey Linzer is the Senior Director of Programs and Grants Administration. In this role, she oversees the Foundation’s fiscal sponsorship portfolio, manages special initiatives with partner foundations and directs several Foundation grant programs. Prior to joining the Foundation in 2017, Lindsey worked as the grants administration officer at Knight Foundation, where she managed the organization’s grants processes and systems, as well as special projects. 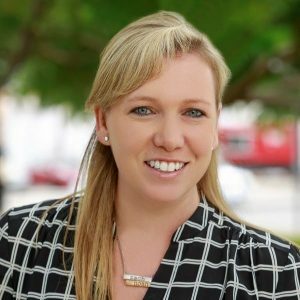 Lindsey has also served as program manager at the Community Foundation of Broward, overseeing leadership development and capacity building programs. Originally from South Florida, Lindsey received her bachelor’s degree in business from Emory University and her MBA with a concentration in nonprofit management from Columbia Business School. Lindsey is a current participant in the Council on Foundation’s Career Pathways leadership development program.